Where did you go? You went by way too fast. I needed about an 8 day weekend. That would have been nice. So where did the time go? Well...the boy (that's right I mentioned him) and I went and saw, Grown Ups. If you haven't seen it then get in your car right now and go. I loved it. I thought it was funny, touching and all around a great movie. I'll definitely be adding it to my dvd collection. Adam Sandler and the group did not disappoint. 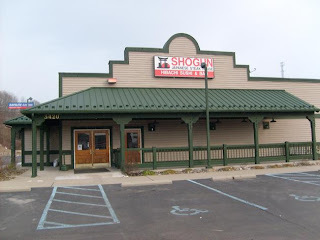 Saturday, we got a group together and went to Shogun. I don't know how many of these are out there but it's a Japanese steakhouse. They fix the food right in front of you. Throw shrimp in your mouth for fun, give you saki shots, etc. It was so good, I loved it! There was only one problem....they gave me way too much food. So in true Jennifer style, I had to get a to-go box. 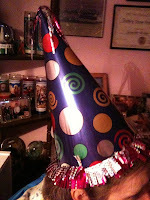 Then Sunday was my Mother's Birthday. She wanted me to tell you all, "Thank you, for the sweet messages." She had a really great day. Here's a few pictures from her special day. 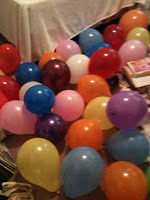 I had blown up about what felt like 100 balloons. I thought I was gonna need an iron lung for sure afterwards. PS: Sorry for the craptastic photos, they were all taken with my iphone. Who doesn't love a good cupcake on their birthday?!? Now that it's Monday, it's off to get my car's new inspection sticker... considering that it expired in May. Ooppsies! We love Adam Sandler last night we rented Funny People it was so good but sooooooooo long that movie was 2 1/2 hours long! Oh my gosh I haven't once managed to finish my food at those restaurants, there is soooo much! I bet those cupcakes turned some mouths fun colors. What a great weekend! Maybe I can convince Adam to go see Grown Ups. Have a great week! 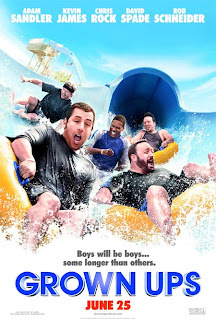 I wanna see Grown Ups! And those cupcakes look GOOOOD. Did you make those??? I hope to see that movie with my SG soon. Maybe after the kiddos go to Florida with the grandparents. Glad you had a good weekend...I agree they are never long enough!! Those cupcakes look awesome! So happy you had a great weekend and that your Mom enjoyed her birthday. Would love one of those cupcakes right now. yum! We saw Grownups too last weekend and loved it and I'm all about some Japanese food anytime. I've been wondering about the Shogun... is it way expensive? It's okay about your car inspection, last year mine was due in July and I didn't even notice until December! I had been driving back and forth from Morgantown to Huntington and everything and never got caught, thank goodness! Glad your mom had a good birthday! I saw that movie last weekend and really enjoyed it too. Looks like you had a really good weekend.. me too! I love those kinds of Japanese places. I want to see that movie! Thanks for the review...ill def check it out! Those cupcakes look yummy! I hope your mom had an amazing birthday! Thanks for the tip on Grown Ups! My hubby is dying to see it too! And Happy Birthday to your mom! Sounds like you had a fun weekend. Happy belated to Mom. I've never once finished a meal at the Japanese steakhouses!! So don't blame you a bit. Sounds like a fun evening! Shoguns sounds just like Benihana's a chain out here. I love those places! I'll have to check out Grown Ups now! I want one of those cupcakes. Like right now. It sounds like your weekend was fabulous! Mine was definitely not long enough either. Happy birthday to your mom! I like japanese restaurants that cook it right in front of you. There is one that we go to every time we go visit my sister in Colorado. It's SO good. I've been wanting to see that movie!! 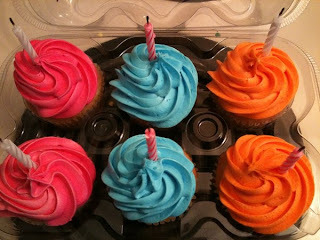 I'm definitely gonna have to check it out :) And you know I love those cuppycakes!! I love those kind of Japenese places, they are always so fun!! I cannot wait to see that movie, the previews look awesome! Happy B'day to your mama!